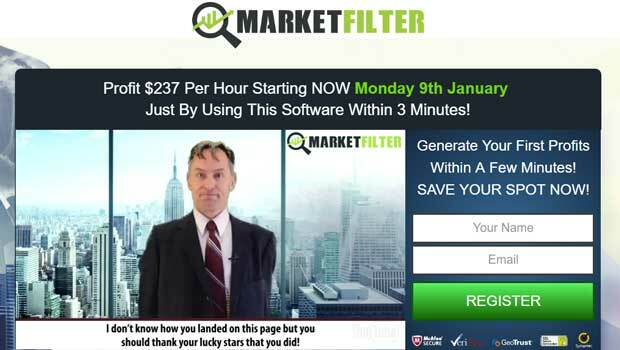 Market Filter is a new automated binary options software promising traders $237 per hour with just 3 minutes of work. The man behind the software is Martin Foster, a developer with no prior experience in this market. He believes that traders can become millionaires with his software in just 5 months time by earning $7,000 per day. Today we will be analyzing this product and letting you know if it’s a legitimate opportunity or a get rich quick scheme. The initial impression of the Market Filter is quite negative. The sales page and video lean heavily in the direction that this is a get rich quick scheme. All the tell tale signs are prevalent. The promises are grand and the people behind the product have absolutely no reputation dealing with binary options at all. We see products like these way too frequently, and have for over two years. There is no history of Martin Foster ever having any impact on the binary options market. You can do a Google search or two and you will come up empty handed. It’s likely that Martin is an actor and the entire story is created by affiliate marketers who want to push this Market Filter product. The Market Filter product is recycled goods. This exact same software has been used hundreds of times in the past under different names. The same software was used just a couple weeks ago by the people behind BinaTrust and AurumTech. Quite frankly, we wouldn’t be surprised if the same people are behind all of these products because the sales pages are so similar and the software is the exact same. It’s very simple what you should do with the Market Filter product. Ignore it. The people behind this software do not have your best interests at heart. They just want to churn and burn 2-3 products a week. They don’t care about the quality of the products because they will just be releasing a new system two days later by a different name. This is how they avoid negative reviews and bad publicity. There’s really no reason why anyone should sign up with Martin Foster’s software. 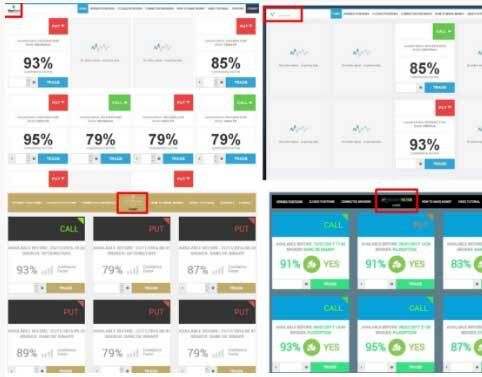 Here at Binary Today we do extensive testing and provide a full list of the best binary options software for you to check whenever you like. The votes are compiled from visitors to the website and depict a true analysis of trading systems. Thanks for stopping by, leave a comment now or visit us on Facebook, Twitter or YouTube.